The challenges of water scarcity will require businesses to expand their supply chain sustainability efforts. In 2016, the information and communications technology (ICT) industry came under fire when environmental inspections found that 18 centralized water treatment plants in Shanghai had issues with heavy metals exceeding legal limits. As a result, the two large-scale electronics plants responsible for releasing these pollutants are now in the process of being forced to stop operations. More recently, the Chinese government shut down an estimated tens of thousands of factories in 2017 as part of its broad efforts to more strictly enforce environmental regulations. Incidents like this have put the spotlight on supply chain operational risks, prompting brands to pay more attention to the Institute of Public and Environmental Affairs (IPE) Corporate Information Transparency Index (CITI) – in particular IPE’s CITI Index Indicator 2.3, which focuses on issues around centralized wastewater treatment. Brands like Apple, Dell, Ericsson and Foxconn have mapped their suppliers’ paths of wastewater discharge, incorporating suppliers’ centralized wastewater treatment facilities into the scope of their environmental compliance screening. Last November, Dell and BSR invited a range of stakeholders to a roundtable in Suzhou, China, to explore how to address shared water issues in the Tai-hu Lake catchment area. First, that water scarcity is a risk that needs to be managed to ensure supply chain sustainability. Second, that water is a common good with multiple competing interests. A growing movement of companies and international initiatives are specifically targeting water resource management as a key component of supply chain sustainability. It has long been recognized that water scarcity will be a defining issue of the 21st century. Climate change, population growth and competing demands on limited water supplies have all contributed to water increasingly becoming a focus for supply chain sustainability. A study conducted by McKinsey found that 90 percent of air, soil and land impacts associated with consumer goods are associated with supply chains. Product stewardship focuses on reducing environmental impacts associated with product design, packaging and material use. Process stewardship takes a life cycle approach to managing impacts associated with the production, distribution and end-of-life product management. Both approaches help companies identify how to manage risks, reduce impacts and identify important cost savings. 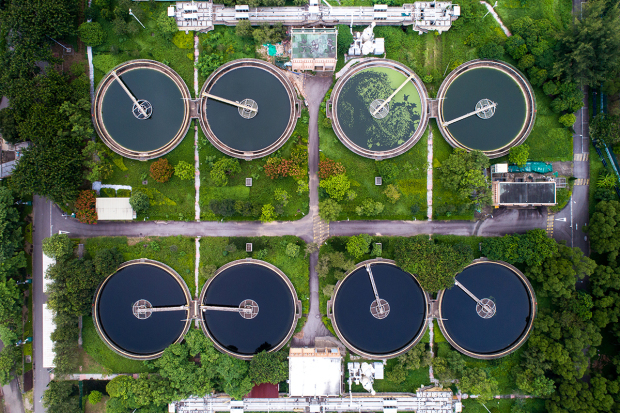 Today, increased transparency and disclosure requirements in places like China are underscoring the need for companies to better manage their water resources. This has been highlighted by the UN Global Compact’s CEO Water Mandate, which recognizes the need for companies to engage on water issues through their direct operations, supply chains and watershed management, public policy advocacy, community engagement and transparency. By initiating discussions in the Tai-hu Lake catchment area, Dell has taken the next step in managing these risks more holistically. Going beyond product and process stewardship, the company is now dealing with the broader risks to its supply chain associated with watershed management. This type of environmental stewardship has been traditionally led by governments and requires more skills, tools and resources than companies have traditionally used in product and process stewardship. Broaden the scope of risks in their supply chains to include water scarcity, floods and related issues. Move from short-term thinking to managing risks over longer time horizons. Develop capacities in watershed management, stakeholder outreach and public policy advocacy. Develop risk monitoring systems and capacities within their supply chains. Share risk information with other stakeholders in a watershed, including potential competitors. Responding to this challenge not only addresses the broader concern of water scarcity, it is also addresses the fundamental ability for a company like Dell to continue to operate. This extends to the needs of suppliers’ employees and their families living in affected watersheds. The challenges of water scarcity will require businesses to expand their supply chain sustainability efforts to include the notion of shared risk over longer periods of time. Dell has started the process of managing this shared risk through its stakeholder consultations with other water users in the Tai-hu Lake catchment area in China.